Qualcomm's Snapdragon 855 is the World's first commercial mobile platform supporting multi-gigabit 5G. 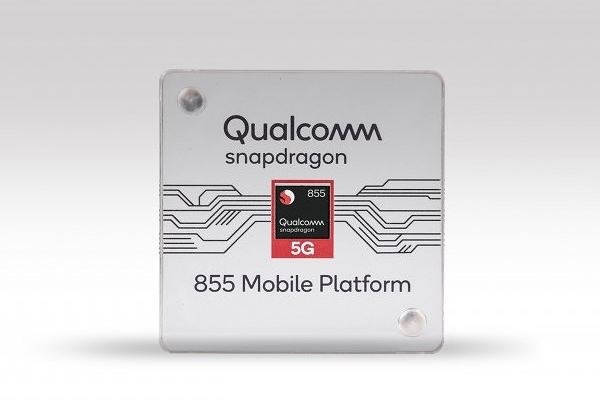 During the first day of the annual Snapdragon Technology Summit, Qualcomm Technologies introduced Snapdragon 855 Mobile Platform, world's first commercial mobile platform supporting multi-gigabit 5G. Qualcomm's Snapdragon 855 Mobile Platform is the world's first commercial mobile platform supporting multi-gigabit 5G. Snapdragon 855 delivers highly intuitive on-device AI experiences - driven by our 4th-generation, multi-core Qualcomm AI Engine, with up to 3 times the AI performance compared to the previous generation mobile platform. The Snapdragon 855 also features the world's first Computer Vision (CV) ISP to enable cutting-edge computational photography and video capture features. The platform also delivers the Snapdragon Elite Gaming, bringing next level gaming experiences to premium mobile devices. Qualcomm also announced 3D Sonic Sensor, the world's first commercial ultrasonic fingerprint solution supported under the display. This is the only mobile solution that can accurately detect fingerprints through numerous contaminants. Furthermore, this technology enables sleek, cutting-edge form factors while distinguishing itself from alternatives with higher levels of security and accuracy.